I mean, the title says it all for this one. Haha. My inspiration dried up a bit and I said to myself: "Why the hell not! Let's glue some pom poms on!" Okay, so let's break this down! 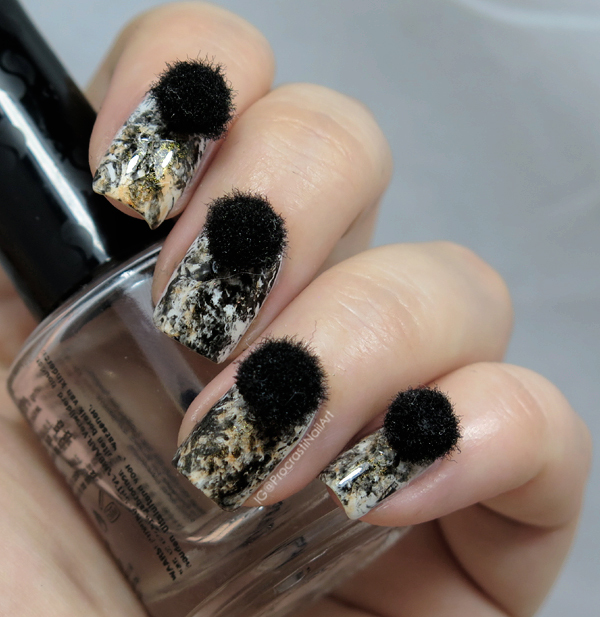 I started off with a crisp white base of Essie White Page and then did a saran wrap marble with Sinful Colors Black on Black and Square Hue Oxford Street. 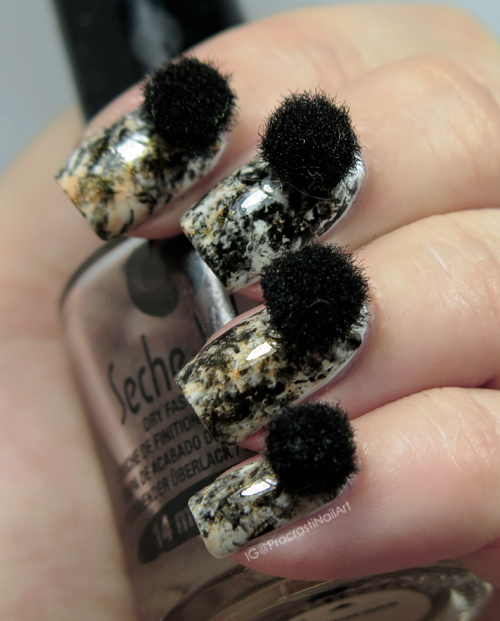 When that was dry I smoothed down a layer of top coat and stuck on my pom poms. Check back tomorrow to see my last look for this month's DD theme! These are super fun with those pom poms. I really like the design on your nails too. 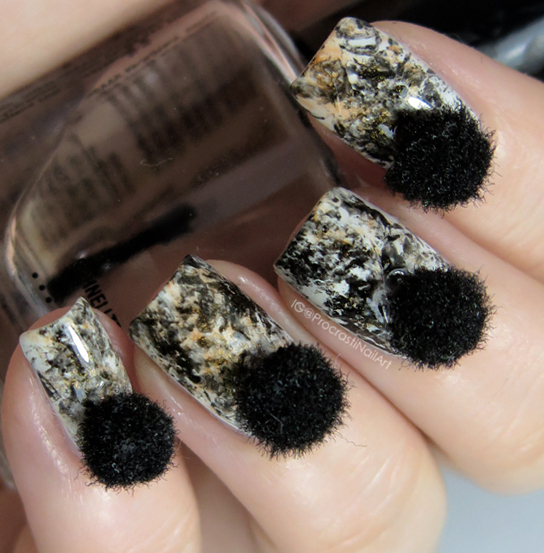 I also really like the base but love that you glued pom poms on. How whimsical! LOL that's funny and adorable! I don't think it would last long though. Ok first off I've been having dreams of doing a nail art look like your base here. Currently I have a slight obsession with neutral marble looking nails. I never would have thought to use pompoms but they look great and like you I would totally rock this look if it was practical. I love the addition of the pom poms! I love them but i have a question.Did you learn to make this technique in your online course (TAOND).?? ?.i really want to take the course but i have no idea if it will works to start my own business as a nail technician.Thank you very much for your time to post your jobs! Hi! No, all of the nail art techniques I do were self-taught. :) TAOND is good for your base skills - it will teach you to do basic polish/gel/acrylic and safety and customer service procedures, but you will likely still have to do more creative learning on your own after too. I love these so much! Completely impractical, but so fun! Haha, such a fun look!